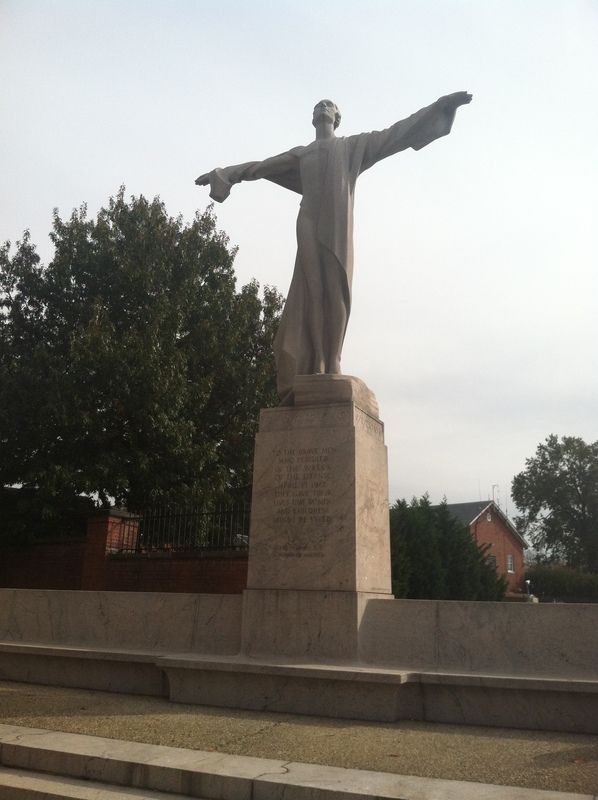 D.C. is home to dozens of memorials, many bursting with grandeur and stateliness. But some of the most poignant moments that our city offers are found in the lesser-known memorials that are more off the beaten path. 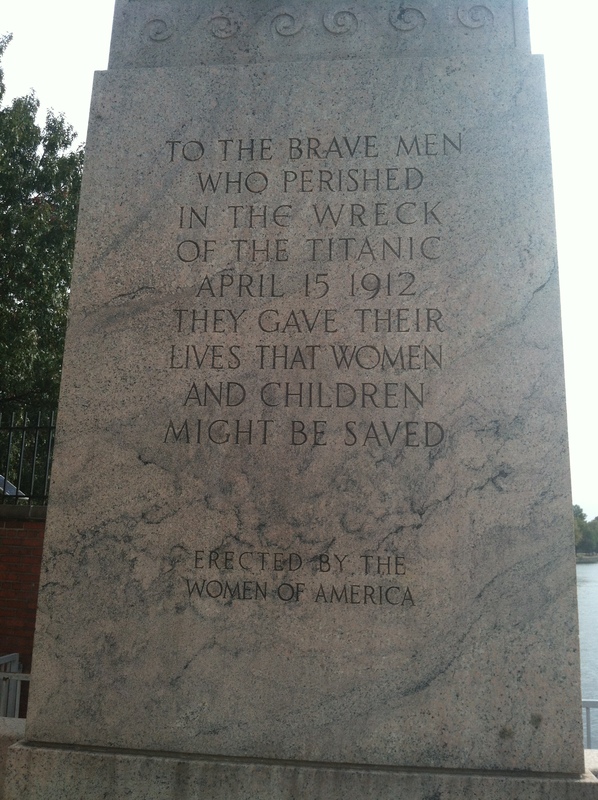 One of these is the Women’s Titanic Memorial, located along the southwest waterfront at approximately 4th and P SW. It was erected by the female survivors of the sinking of the Titanic, to pay tribute to the men who lost their lives in order to save women and children. The monument is comprised of a figure wrapped in a billowing shroud, with arms up and out (not unlike Kate Winslet’s iconic pose in the movie “Titanic.”) The inscription notes that the statue is erected by the “Women of America,” and movingly, the back reads “To the young and the old/the rich and the poor/the ignorant and the learned/all who gave their lives nobly/to save women and children.” Almost all of the 1,514 people who lost their lives in the ship’s sinking were men (1,352 altogether). Originally located at the southern end of Rock Creek Park, it was funded and built by the Women’s Titanic Memorial Association in 1931. It was moved to its current location in 1968 to make way for the Kennedy Center, and is one of dozens of memorials across the world to pay tribute to those killed in the disaster of the Titanic. One of the best things about this memorial is its location. It is located at the end of the waterfront pathway—technically the Southwest Waterfront Park—which ends just as Fort McNair begins. It is a quiet, contemplative spot, framed by rows of trees planted when the waterfront was at its heyday as a bustling commercial center. And the view is across an arm of the Potomac of the green and lovely Hains Point. Although it was a British liner, the Titanic was carrying many emigrants seeking to call America their new home. And thus, while a quiet tribute, the Titanic Memorial fits in well with the ethos of our historic city, one that honors and remembers those who helped our nation become what it is today. 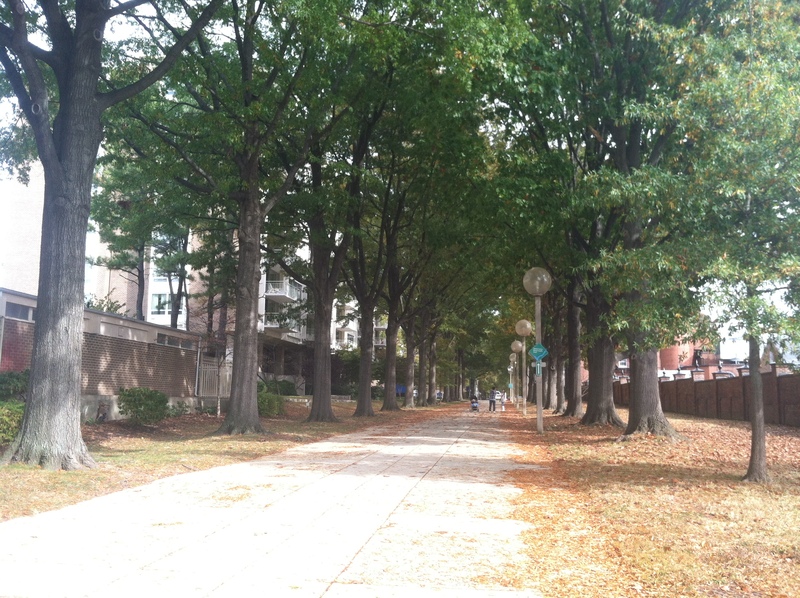 To visit: A 10-minute walk from the Waterfront metro stop, or the red line of the Circulator stops nearby.